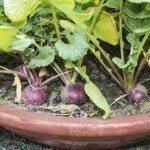 Radishes (Raphanus sativus) are a cool weather crop that is a rapid grower easily sown for successive crops every ten days. Because it is easy to grow (and delicious), radish is a common choice for the home gardener. Even so, it has its share of radish growing problems and radish diseases. 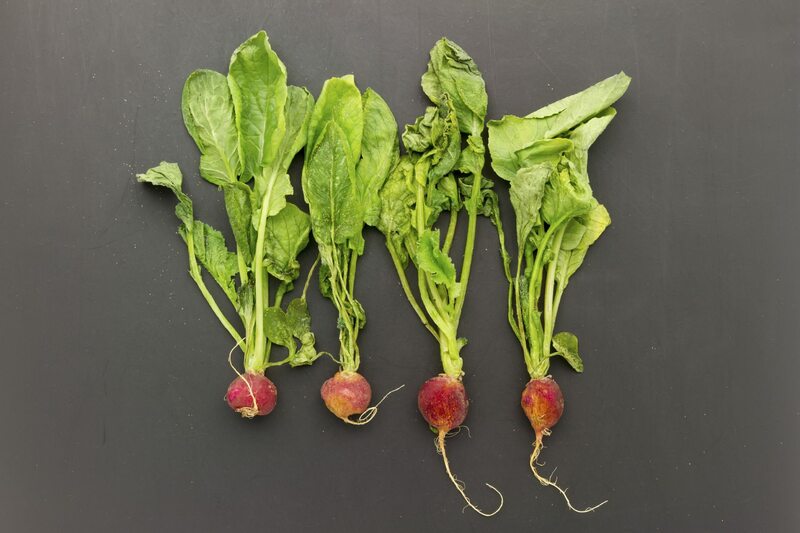 What types of radish disease problems are there and how can they be treated? Keep reading to learn more. Radish is a member of the family Brassicaceae and is grown for its slightly spicy, crunchy taproot. 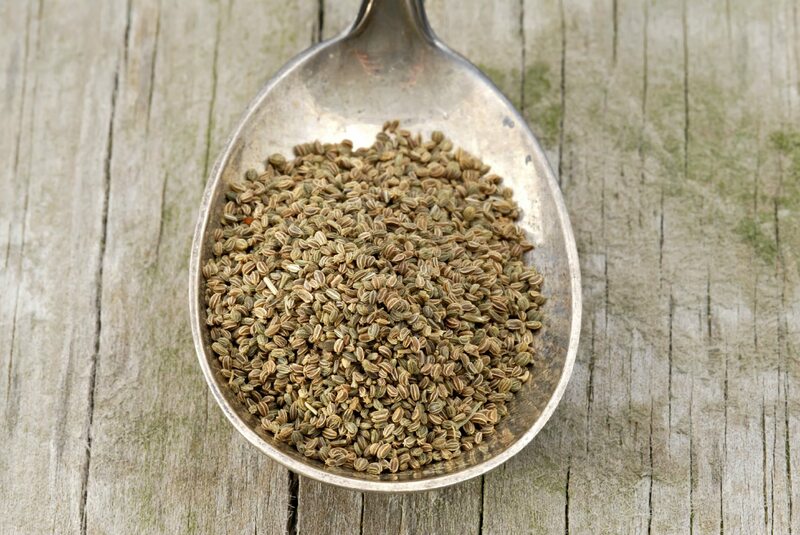 This herbaceous annual or biennial should be grown in full sun in loose, compost amended, well-draining soil. Seeds can be sown as early as 5 weeks prior to the last average frost date for your region and then for a continual supply, sown every 10 days. Quit sowing when temps reach over 80 degrees F. (26 C.). Keep the plants consistently moist. Harvest the radishes when they are under an inch across by lifting them out gently. Seems fairly straightforward, and it usually is, but even the undemanding radish can fall victim to radish disease problems. While the majority of radish growing problems are primarily fungal, here are the most common issues you may come across. Damping off – Damping off (wirestem) is a common fungus found in the soil in areas of high humidity. Radishes are prone to seed rot or the collapse of seedlings when afflicted with damping off. Don’t plant seeds in cold, moist soil and be sure the soil is well-draining. Septoria leaf spot – Septoria leaf spot is a fungal disease that often affects tomatoes but can afflict radishes too. This radish disease is appears as pale yellow, gray spots on foliage that look like water spots. The spots get a gray center and become more circular as the disease progresses. Again, make sure the radish area has well-draining soil. Remove and destroy and infected parts or plants, rotate crops and keep the garden free of other plant debris. 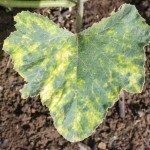 Fusarium rot and Downy mildew – Fusarium rot and wilt is a fungal disease that thrives in warm soil. Downy mildew is also a disease of radishes caused by a fungus. Keep the garden free of detritus, destroy infected plants, avoid overhead watering and improve upon air circulation and practice crop rotation. Black root – Black root is another possible radish growing problem. This fungal disease causes yellowing of leaves with brown, curled leaf margins. The stem’s base darkens to a dark brown/black color and becomes slimy along with black, slimy roots. Be sure to amend the bedding area with plenty of organic matter to improve drainage and practice crop rotation. Alternaria blight – Alternaria blight causes dark yellow to black spots with concentric rings on foliage. The center of the ring often dries out and drops, leaving the leaves with a shot-hole appearance. Complete leaf drop may occur. Be sure to plant certified, disease free seed. Rotate crops. Irrigate in the morning to allow the foliage to dry and apply fungicide. White rust – White rust appears as white pustules on foliage and flowers. The leaves may curl and thicken. This particular fungal disease thrives in dry conditions and is spread by the wind. Rotate crops and plant disease free seed. Use a fungicide if the disease progresses. Clubroot – Clubroot is another fungal disease that mimics damage done by nematodes. It leaves stunted plants with yellow leaves that wilt during the day. Roots become distorted and swollen with galls. This pathogen can survive for many years in the soil. The addition of lime in the soil may reduce fungal spores but, in general, this disease is difficult to control. Scab – Scab is a disease that is also found in potatoes, turnips and rutabagas that causes brownish-yellow lesions on roots and irregular blotching on foliage. This bacterial disease is difficult to control since it remains in the soil for lengthy periods. Don’t plant the area for four years. Some insects act as vectors to disease. Leafhoppers are one such insect. They spread Aster Yellows, a mycoplasma disease, which as its name suggests, causes leaves to yellow and curl and stunts plant growth. Destroy infected plants. Control leafhoppers and keep the garden free of weeds and plant detritus. Aphids also act as vectors spreading leafroll virus. Treat the same as for Aster Yellows. Lastly, too avoid the incidence of fungal disease, harvest the radishes before they reach maximum size. They taste better and you avoid potential cracking, which can open a window to fungal disease.